REDONDO BEACH — King Harbor boaters might have to deal with larger crowds the second they step onto land if Redondo Beach’s planned waterfront revitalization is realized. A plan for a new pier, upgraded Seaside Lagoon, public boardwalk and open park space is in the works at Redondo Beach Harbor. 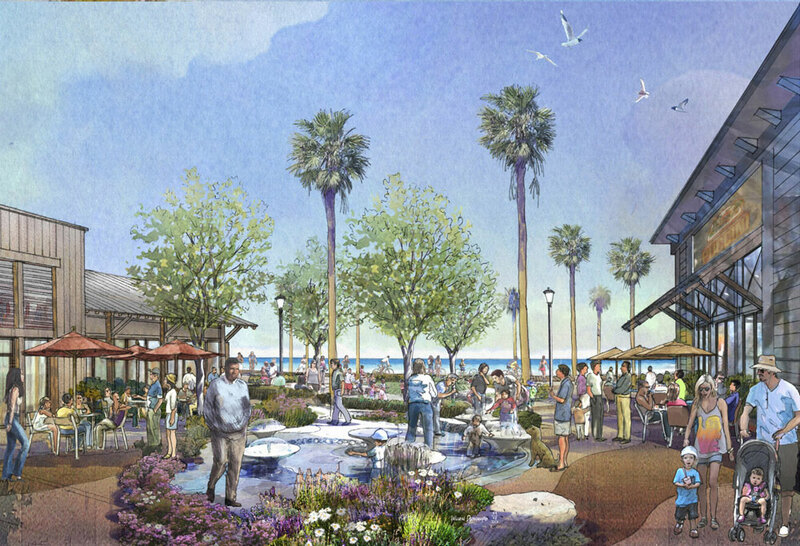 Other elements of the plan call for a hotel, cinema, restaurant, retail shops and coastal access for cyclists and pedestrians, according to CenterCal Properties, the developer spearheading the waterfront revitalization. Specific plans could become apparent within the next few weeks as CenterCal Properties plans to present its Environmental Impact Report (EIR) to Redondo Beach’s Harbor Commission in October. The EIR presentation is merely the beginning of the process. The public is expected to provide input on the EIR and Harbor Commissioners could make several recommendations. Whatever plans are presented to the Harbor Commission in October could dramatically change in the months to follow. About 36 acres of land and water could be revitalized under CenterCal’s plan. City staff stated the revitalized waterfront would expand visitor-serving business, enhance recreational opportunities and improve aging infrastructure. 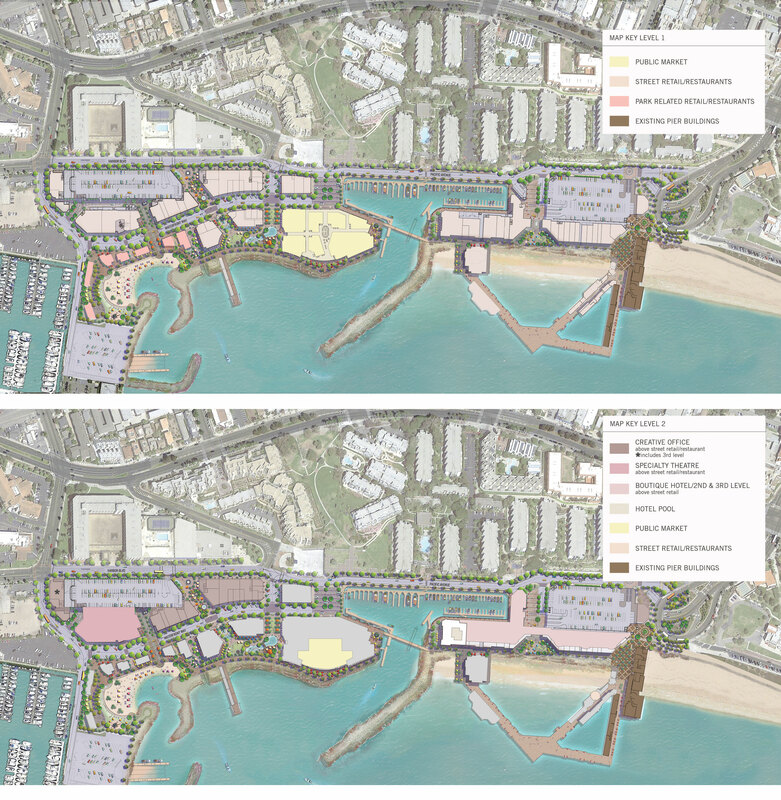 CenterCal is proposing to demolish more than 220,000 square feet of existing structures and add about 520,000 square feet of hotel, market hall, movie theater, office, and restaurant and retail space to the Redondo Beach waterfront. Almost 290,000 square feet of the redevelopment would be new space. Proposed public recreational enhancements include a new boat launch ramp, Seaside Lagoon improvements, new parking and pedestrian access to Redondo Beach Marina Basin 3. The harbor’s boat hoists could be replaced with a boat launch ramp near Seaside Lagoon, according to one version of the plans published by city staff. Most of Redondo Beach’s pier was destroyed by a storm and fire in 1988. “The damaged portions of the pier were subsequently reconstructed; however, patronage patterns to the pier and waterfront were significantly interrupted and have yet to fully recover,” city staff added in the initial revitalization study, which was published in 2014. 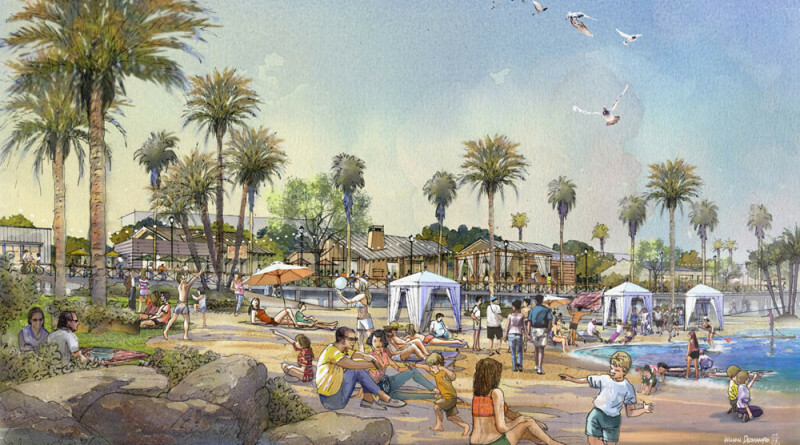 A few new elements were added to the waterfront area in recent years, including a remodel of Redondo Landing, the opening of Shade Hotel and new visitor mooring slips. The harbor area has been the target of revitalization plans since 2003. 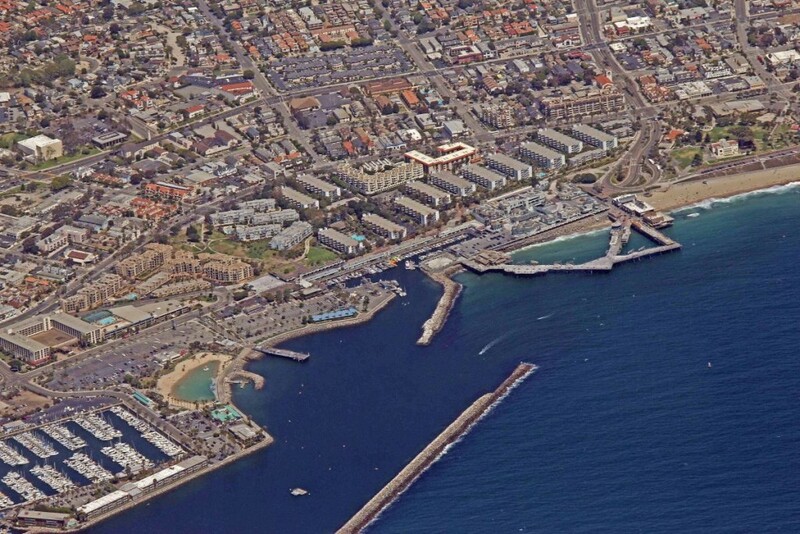 City staff spent seven years drafting amendments for Redondo Beach’s Local Coastal Program (LCP) in order to open the door to waterfront revitalization. The city’s voters approved the LCP amendments in 2010 through Measure G and established design standards for the planned harbor and waterfront revitalization. CenterCal applied to be the revitalization’s developer in August 2014 and predicted the expanded waterfront would create about 2,500 jobs, bolster the local economy and create $3.25 million annually in sustainable economic growth.